What I love most about food is its ability to evoke such nostalgia; tastes and flavors and smells that have the ability to transport you to a specific time and place in the past. 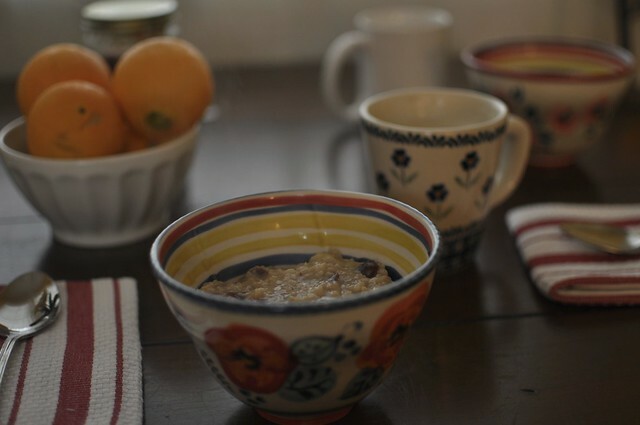 Oatmeal takes me to Dordogne, where I woke up every morning to Lucien's loud laughter, Elizabeth's hushed tones, and oatmeal covered on the stove. 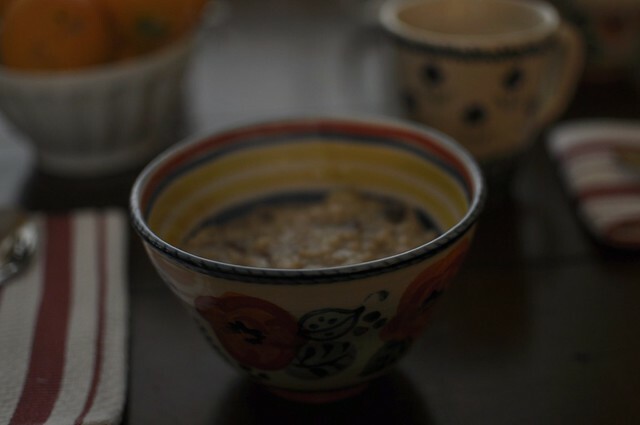 We ate it every morning, unsweetened with a spoonful of peanut butter. 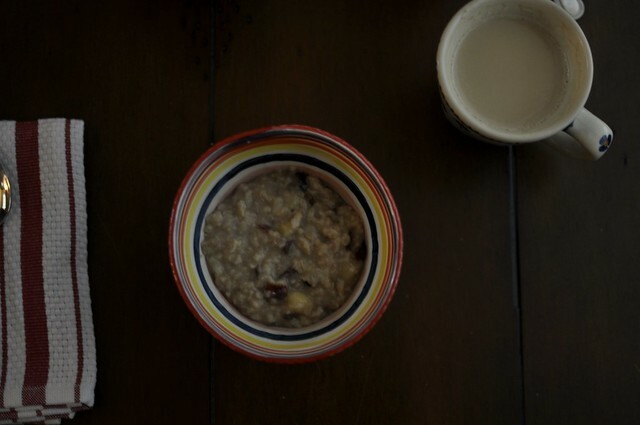 At first it tasted plain, but I quickly began to crave the simplicity of it. I'd eat as I looked out the window to a green field scattered with wildflowers. I'd think about the day to come; river-swimming, fruit harvests, blackberry-picking, maybe a long walk or two. My time in Dordogne with Lucien, Elizabeth and Kevin was so special -- life-changing in retrospect -- that it feels important to honor it and them. Even if it's just for a quick second in the morning as I eat my bowl of oatmeal.